Research In Motion (RIM) has launched a new Operating System for its future mobile devices and tablets. Called the BBX, it would replace the antiquated software that now powers the BlackBerry with a package built around the QNX system, also the engine behind the PlayBook. BBX will support applications developed using any of the tools available today for the BlackBerry PlayBook including Native SDK, Adobe AIR/Flash and WebWorks/HTML5. 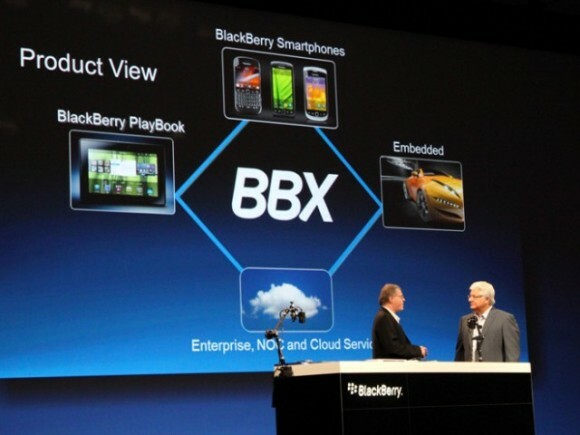 BBX will also support BlackBerry runtime for Android Apps on future BBX-based tablets and smartphones. BBX will not support Java, on which all the present BB devices work. It will also include the new BlackBerry Cascades UI Framework for advanced graphics, shown for the first time on Tuesday, and bring “Super App” capabilities to enable many advanced capabilities including deep integration between apps, always-on Push services, the BBM Social Platform, and much more. Though the BlackBerry PlayBook has not been a hit with the users and developers too, RIM feels that BBX will change everything for it. RIM is also trying its best to make more apps available for the tablet. And for that, RIM said it was giving developers a tool to adapt their Android programs for the Playbook. “We’re doing everything we can to make it easier than ever to submit apps and sign up, we’re removing roadblocks. This is a very exciting time for BlackBerry developers.” Mike Lazaridis co-CEO of RIM said. RIM has not announced a date as to when BBX’s SDK will be available for developers and this has proved as disappointment to the developer world. Let’s wait and watch how BBX will change the way BlackBerry devices work in the future.